Fine bubbles when performance is demanded. With their round grain pore structure, low resistance to airflow, uniform porosity and resistance to clogging, these airstone diffusers are perfect for general aquaculture aeration and pond and lake aeration. 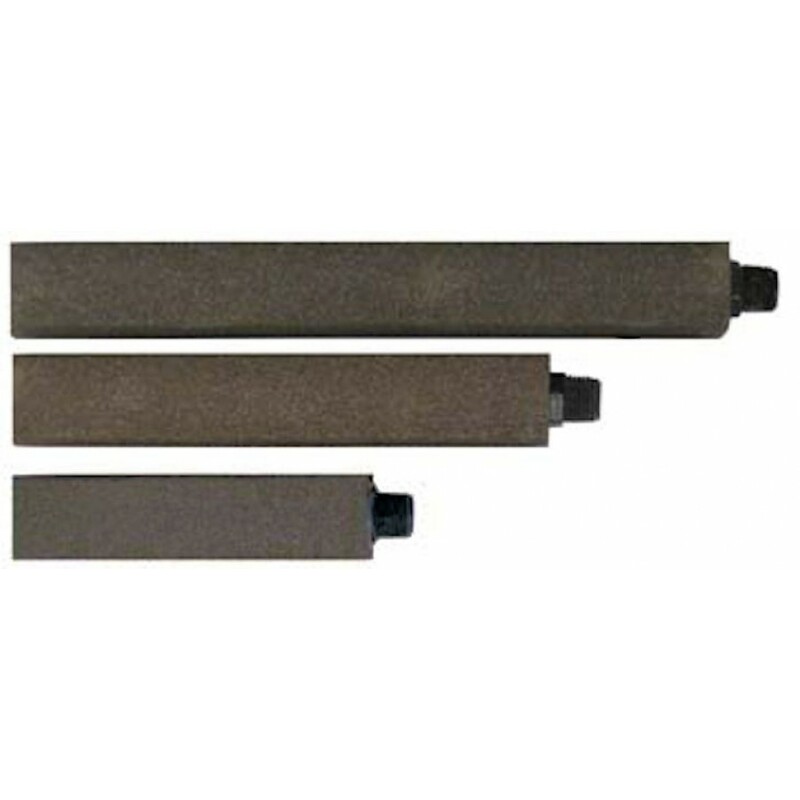 These diffusers are engineered to produce extremely fine bubbles meaning more efficiency without increase in pressure. In most soft water applications, they won't need to be cleaned for more than a year. Note that water pH in excess of 9.0 will shorten the diffuser life. Can be easily cleaned in a solution of muriatic acid. The high-density glass-alumina material means the diffusers are self-weighted. The threaded inlet valves is structurally improved, being set into the body of the diffuser, so their is less possibilty of breakage. 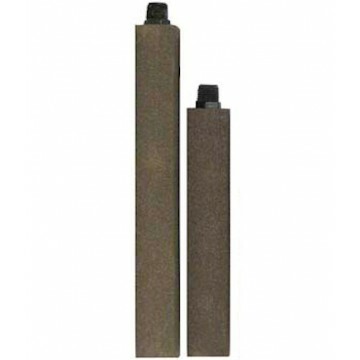 More resistant to ozone and finer bubbles than the rubber EPDM diffusers makes these an excellent value for aeration and mixing projects. 1.5" x 1.5" x 9"